I first spotted Muc-Off’s C3 Ceramic Bike Lube at their Interbike booth, where the staff demonstrated that the lube fluoresces under a black light. The idea is that you could use a black light to check to see if you’ve adequately applied the lube to all the links, which would be a cool idea if I was still in my freshman dorm room discovering Pink Floyd’s Dark Side of the Moon for the first time but slightly less useful in the typical bike shop. Neon-glow party tricks aside, this lube works exceptionally well, in both cyclocross and commuting. 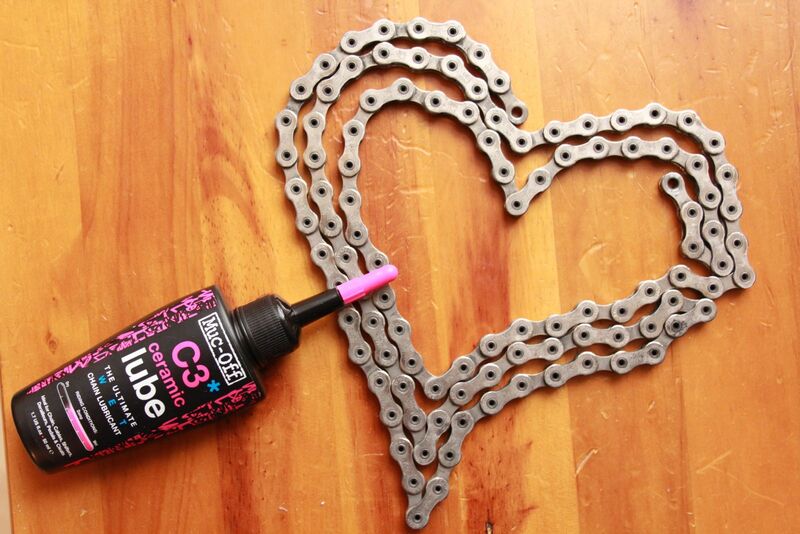 The “ceramic” C3 lube adds boron nitride to the mix. 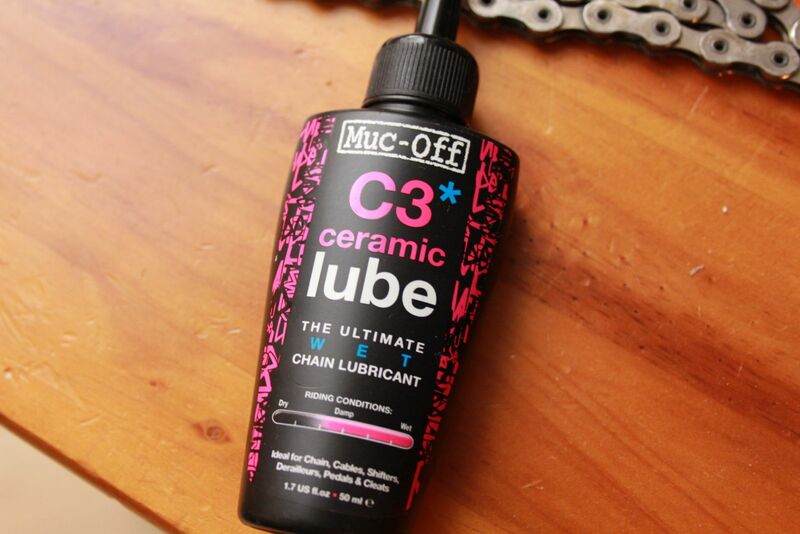 When it comes to chain lube, there are only three that I like: Chain-L, ProGold Prolink, and this Muc-Off C3. It is marketed as a wet lube, and I think of it as a good choice for the Pacific Northwest, particularly during the wet season. Of the three lubes that I like, it is perhaps the most troublesome to clean off of your hands and other unintentional surfaces, but it is more tenacious than ProLink and does not require as much prep prior to application as Chain-L does. Quiet-running, easy to apply, lasting, reasonable clean-up, smells nice…no reason to gild the lily, if you’re looking for a dependable lube give it a try.